I signed up for the tour of La Roma and at the last minute decided to add the extra two hours to see Condesa as well. Laura got back to me immediately and was very accommodating. The tour was so lovely, I felt like I was spending the afternoon with a good friend even though I has just met her! Laura took all of my interested and planned out a great day full of architecture, interior design, cute local shops and book stores. Toward the end of the day she made sure I was set up with where to have dinner and a plan of how I could get home from that location, Very thoughtful and kind! I am so glad you took the chance to have a holiday somewhere very very different. We loved having you here! In a recent trip to Mexico City we spent a morning doing a street art tour with a bonefide street artist called Claudio. He was an amazingly knowledgeable and interesting guy and took us to some great parts of the city that we would never have seen without being on a tour. The highlight of this tour is that not only do you absorb a whole lot of inspiration from the professionals, but then he hands you the spray cans and you get to leave your own personal mark in Mexico city! We were lucky as it was a sunday morning we were the only people booked and the guide really made a huge amount of effort considering it was only us. He went above and beyond to help me find a camera shop to buy a new battery charger after the tour was over too. This is a definitely unique and special thing to do when in Mexico. Claudio is always a big hit with our clients!! He makes a great bridge between the worlds of street art, politics and REAL LIFE! As this tour is 100% private, when you book the tour it is always 100% yours. And yes, that makes a HUGE difference in terms of personalising what you see and how you spend your time. No set spiels, no spoofy speeches, and any and all questions welcomed!! We look forward to seeing you again, next time you visit. I had so much fun during the private Street Art Tour with Claudio! I saw amazing street art I definitely wouldn't have found by myself. I learned so much about different pieces and how to read grafitti. I also had a chance to use spray paint for the first time :) I really recommend this tour, especially for solo travellers!! We love to provide a safe, fun alternative way to explore lesser known parts of the Central City. I am so glad you enjoyed your time with Claudio. He is a true local star! See you next time for the next round of fresh street art!! 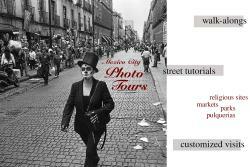 Look no further!...This is the way to see Mexico City! Laura arranged a three-part tour for me, my wife and teenage daughters, and it was all perfect! Arnoldo was our guide in the historic center of the city. His passion for Mexican culture and history was so contagious. 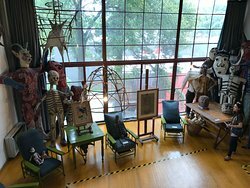 He brought buildings and murals alive for us as we toured places like the Catedral Metropolitana and the Palacio Nacional de Mexico. He also walked us through the city streets, discussing the history and cultural influences of buildings and streets through the eyes of a person who has experienced much of the changing political and social climate of the last fifty to sixty years himself. Next Laura arranged a street art tour with Claudio Remix. Wow! Claudio took us to places we would never have been able to find on our own, and he also discussed the social and political side of the street art culture as well. Claudio's interaction with us was a perfectly balanced mix of humor, enthusiasm and education. He challenged us to apply things he was teaching us, to be able to better understand and interpret street art on our own. Finally, Laura guided us through La Roma...it was like having your best friend hosting you for an afternoon in their neighborhood! Laura's overview of the history and architecture of La Roma was a perfect introduction to our visit. Walking around La Roma, Laura took us to brand new boutiques, old craftsman shops and pop-up shopping areas. Laura gave us the opportunity to see what we wanted to see or to pass on certain options that she presented to us. We learned and saw so much with our new friend Laura. Also, at the end of the tour, she recommended several restaurants and called them to see who was open. If you want to see Mexico in a very personal, casual and fun way, you MUST contact Laura! We made three new friends who all showed us their personal Mexico City, and it was perfect! This was the first time we have had a client ask us to create a full-day itinerary comprising ALL of our tours in one go!!! Tailoring the day to our clients' particular needs is our area of expertise however, so it was fun to sync up a special three-in-one combo to create a visually compact and enriching day out for you. With a chauffeur pick-up, a few hours of cultural and historic must-sees, then some street art and then the hip cosmopolitan peek into La Roma. It was a pleasure to help you out and that it was a great success for all involved! Let us know what we can tee up for you next time! My wife & I took the Roma walking tour. Laura was an excellent guide who was very knowledgeable about the architecture & murals of Roma as well as introducing us to hidden gem restaurants & shops. I would recommend taking the tour but found it a bit too expensive for what it was. For less money we could have taken a Roma food tour & learned about colonia Roma while being fed. Glad you enjoyed the facts and the history of the area! 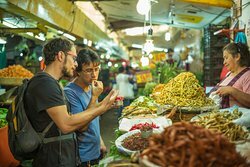 As a private tour, this is definitely in a different price range than a group tour, and attracts visitors who are seeking a personalised experience. I hope you have a fabulous and rewarding stay in Mexico City! We had an amazing time with Laura on our tour. She took us to places we would've never known about. It was better than expected! We loved it and would do it again. It was a pleasure to show you Mexico City's upbeat, cosmopolitan self. Your enthusiasm and interest were really appreciated! Your answers to the pre-tour questionnaire were also a great help, so we could see the places that would interest you most and make best use of your precious time out. I look forward to seeing you again next visit!